Map: Sheet 29 of Ordnance Survey of Northern Ireland Discoverer Series available from Land & Property Services osni.gov.uk or www.nidirect.gov.uk/map-shop-information. Nearest town to start: Castlewellan. Facilities: Parking, toilet and café facilities all available within Castlewellan Forest Park. Developed By: Outdoor Recreation NI. Terrain: Gravel path and grass with some optional steep inclines. 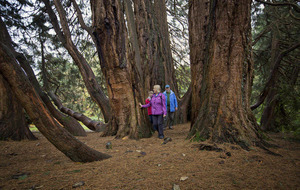 Walk Description: For those of you who dream big things for your garden at home spend the afternoon being inspired by the rhodendrons and shrubs in the historic Annesley Garden at Castlewellan Forest Park. Parking in the lakeside car park, follow the pink way markers along Lime Avenue until you reach the Annesley Gardens. The garden, in its original form, was founded in 1740, with the fifth Earl Annesley and his gardener planting more than 3,000 different species of choice tree and shrub specimens from across the world in the years 1874 to 1908. Much of the garden has been restored in recent years; the two fountains have been repaired and lost views of the Mourne Mountains reopened. 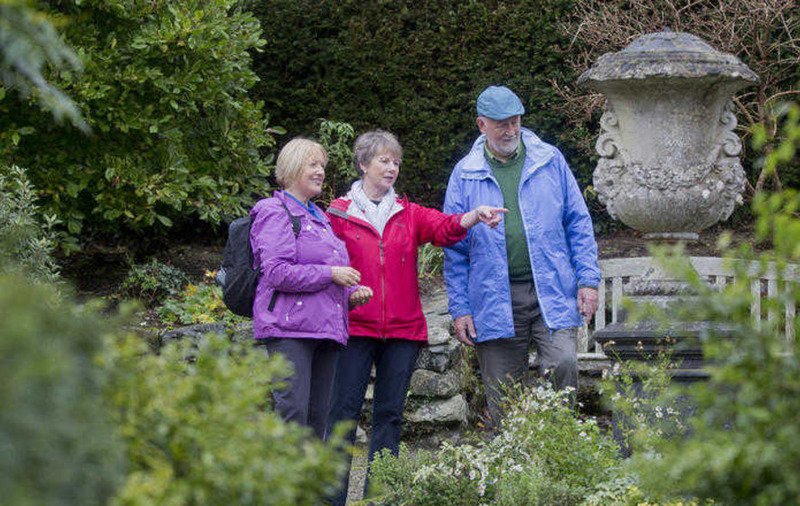 Drawing enthusiasts from all over the world, the 21-acre walled Annesley Garden is a focal point for the 100-acre National Arboretum, hosting one of the finest collections of trees in Ireland, including 42 champion trees and 20 of the oldest specimen trees in the British Isles. 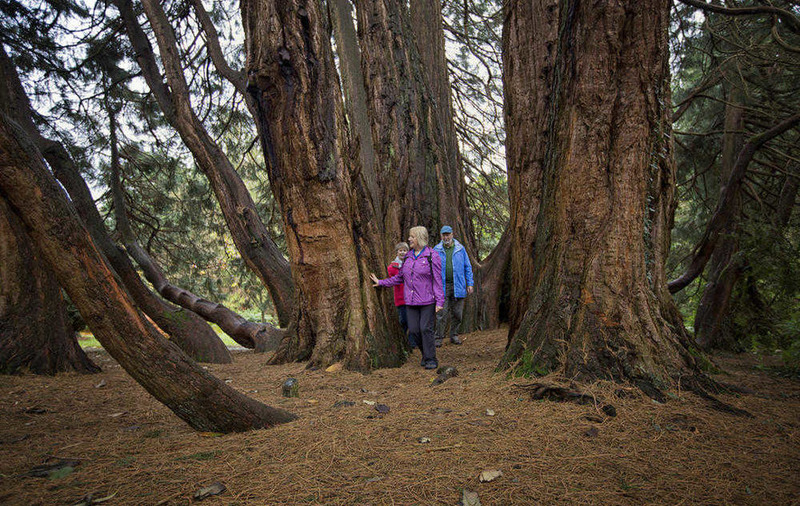 Stop to admire the impressive American Giant Redwood (added to the garden in the 1850s) or take a seat under an archway of ivy either way you are sure to fall in love with this fascinating place. With its formal layout of intersecting paths, lose track of time as you explore rhodendron wood, the winter garden, autumn wood and cypress pond. Take a walk through the 200m Eucryphia Avenue which is white with fallen petals in September. Continue uphill to circle the duck pond and Mitchell's lake before returning on the wide, even path down the hill to the lakeshore.